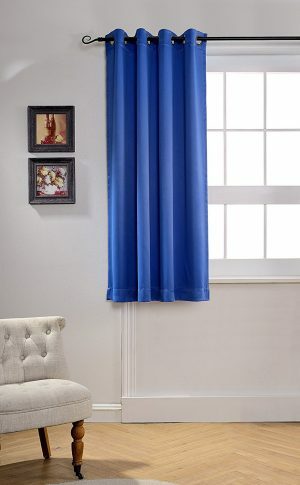 I have these in royal purple and royal blue, and both do a great job of blocking the morning sun. I installed them with a tension rod, so I didn’t need any tools. We have mini blinds underneath, but a lot of sun was coming through, and these created the perfect barrier.